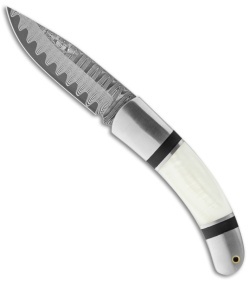 Buck n Bear Friction Lock Damascus Folder features Mother of Pearl scales accented by stainless steel bolsters. 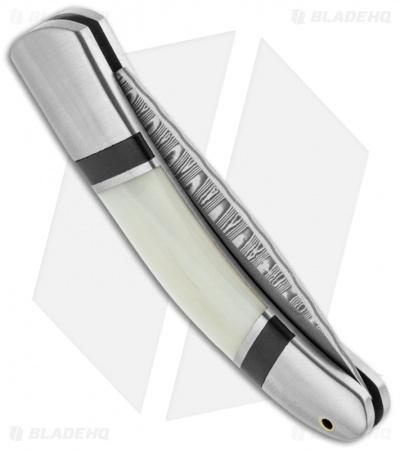 The wave Damascas drop point blade features a plain hollow ground edge features a nail clip. 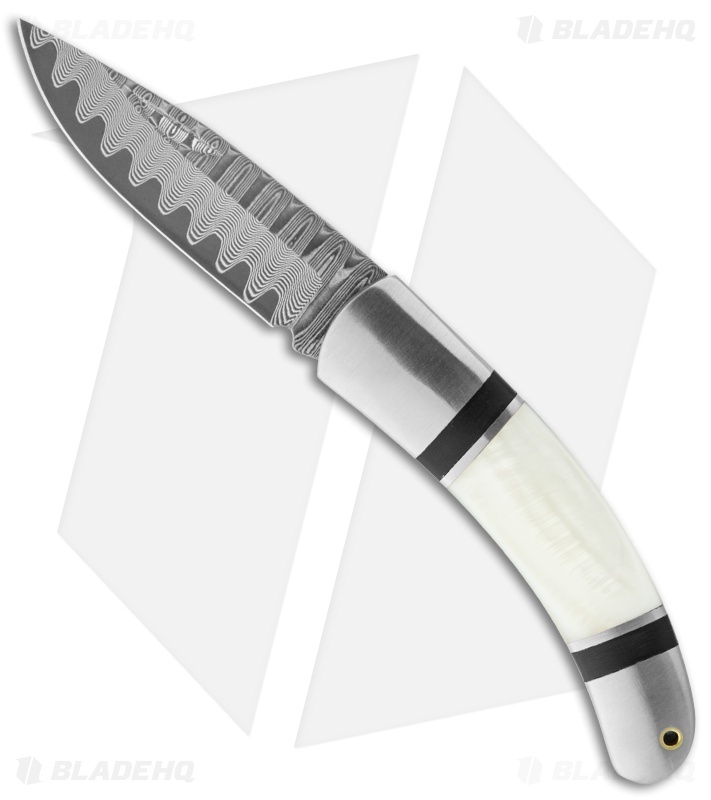 The spine of the folder shows off some decorative grooves that compliments the overall elegance of the knife.